Jax “Bravadobe Never Tear Us Apart” was a surprise to us all when he came into the world on the 1st of December 2012. 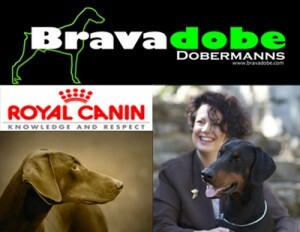 Sired by the handsome and very outgoing Atelier “Champion Bravadobe Oh Yes I Can WAC” out of Phoebe “Bravadobe Get It Got It Good” the standard size black male oozes personality and keeps his co-owners Rod and Emma on their toes. 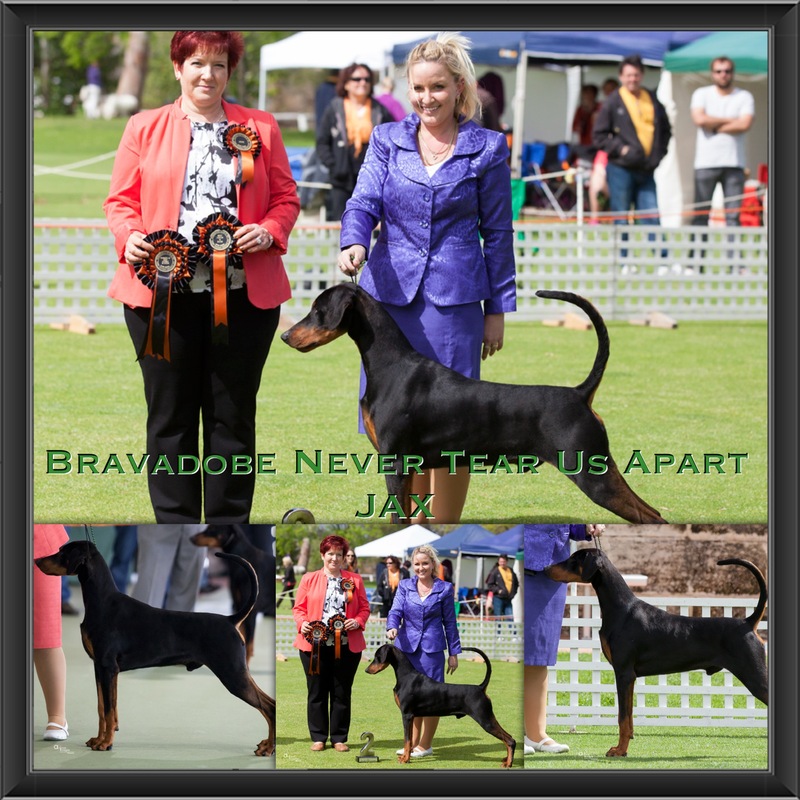 Jax is shown on the WA show circuit and in September 2013 was awarded best dog and runner up best in show at the Dobermann Club of WA open show specialty from the puppy class. This entry was posted on Sunday, August 17th, 2014 at 2:59 pm and is filed under Our Show Team. You can follow any responses to this entry through the RSS 2.0 feed. Both comments and pings are currently closed.